At the end of the day, it's all about the numbers. 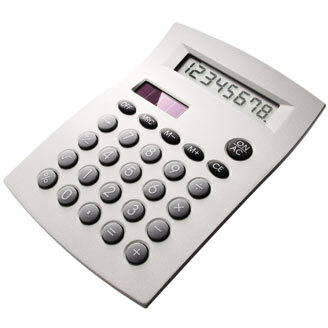 Featuring Bedol's Long-Line Desktop calculator, a stylish approach to ensuring that the latest figures on that pending deal are up to par and that your colleagues are impressed by your impeccable taste. In a world where time is money, miscalculations and errors should never be an issue. Keep your desktop in order and stay in constant control via this sleek die-cast casing which features a soft vinyl keys, brilliant LCD digit display, which runs on a combination solar and battery power. For the individual who appreciates pristine figures and clean lines, Bedol's Long Line calculator is surely to be what's next in your colleague's corporate gift wish list.